NetEase Games’ Lunar Flowers was brought to my attention while I was still half asleep this morning. It’s 100% free with no ads or in-app purchases (IAP), so I downloaded it right away. And I couldn’t put it down until I reached the end. 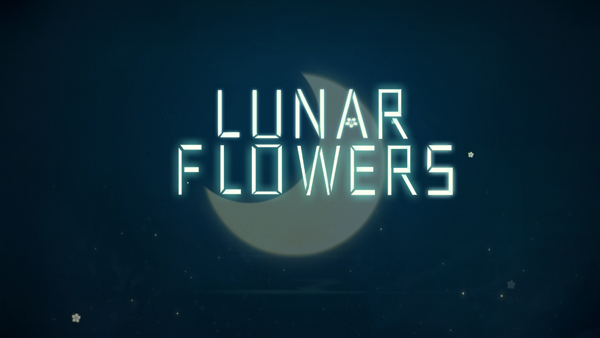 Lunar Flowers is what I would classify as a game that’s art, up there with the likes of Monument Valley. I know it’s a cliche, but it’s breathtakingly beautiful. I don’t really know how to get this message across better than just showing you some screenshots. The game isn’t simply interactive art, though. 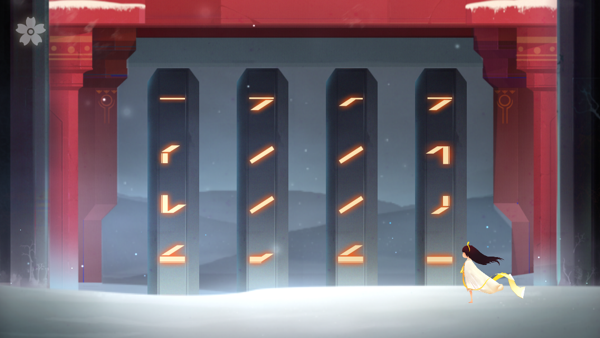 There are puzzles here, and they can sometimes get a bit tricky. But it’s a very relaxing game nonetheless. There are absolutely no words past the title screen. You need to learn how things work as you go along. You play a little girl who automatically moves on her own when you solve a puzzle. It’s clearly designed for touchscreens and it just works. 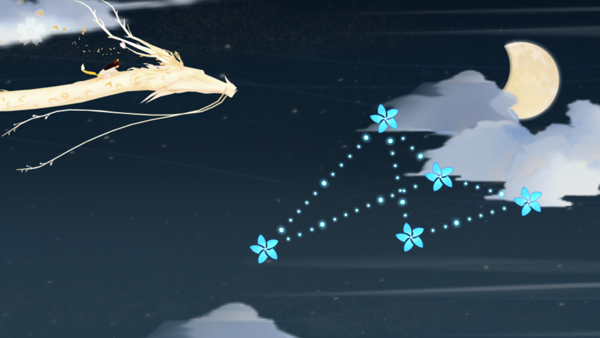 The puzzles vary a bit, but they mostly consist of using your finger to draw lines between flowers in the sky, with the goal being to connect all the flowers. Sometimes the game will ask you to draw in a certain pattern and if you fail, you’ll have to try again. Sometimes you need to solve multiple puzzles in quick succession and failing one means starting from scratch. But this is still a relaxing game at heart and it never gets too stressful. You also get to ride a luck dragon. Need I say more? I can’t recommend Lunar Flowers enough. 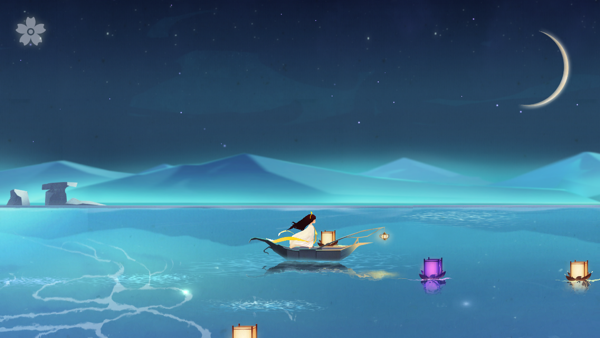 If you like pretty, chill games, download it now. I don’t know if it will always be free, so don’t miss out on it! If you need help with the game, try my walkthrough. The Passenger: A mysterious journey through a hauntingly beautiful world. I bypassed this one but just picked it up based on your recommendation. Played the first part & it’s pretty fun & it’s gorgeous! Thanks!